Bobby Lennox is optimistic that his former team Celtic can take something from Wednesday's Champions League match against Manchester United in Glasgow. Ahead of the Group E game, former Celtic and Scotland winger Lennox said: "At Celtic Park, we have a chance against anyone in the world. "We have the best support in the world and, on Wednesday, they have to support the team from start to finish. "This is probably the best United team ever, but you always have a chance." Lennox, who scored 273 goals for Celtic, admitted that a "huge gulf" exists between the champions of the Scottish and English Premier Leagues. However, he believes that, despite the 3-0 defeat inflicted on Gordon Strachan's men by United at Old Trafford two weeks ago, the players should not lose heart. If you look at Alex Ferguson, what is the most important game for them this week? They play Arsenal at 12.45pm on Saturday. Blackburn manager Paul Ince described that encounter as "men against boys", but Lennox takes a dim view of that comparison. "A lot of English teams go to Old Trafford and don't do too well. I thought that was a strange quote. Who wins at Old Trafford?" said Lennox. 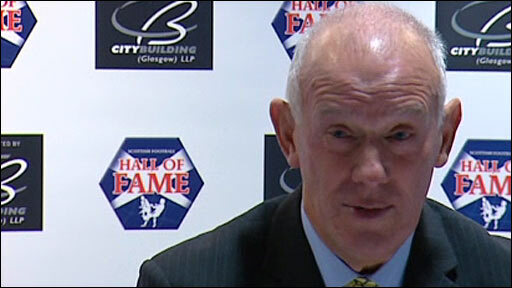 Lennox was speaking at Hampden, where he and former Celtic and Manchester United midfielder Paddy Crerand were helping to launch the new Scottish Football Hall of Fame. Crerand was less optimistic about the SPL champions' chances against a side that can call on the likes of Dimitar Berbatov, Wayne Rooney and Carlos Tevez. 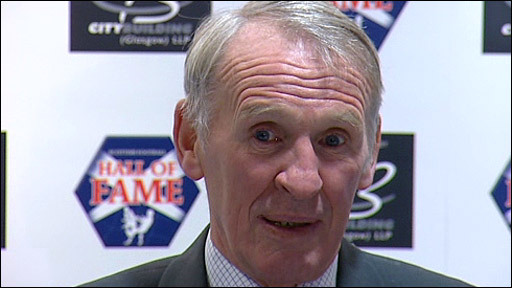 The 1968 European Cup winner said: "United have Berbatov and Rooney at £60m and Tevez comes on as sub, another £30m. "You can't compete with that. There is a massive gulf because of the money. Scottish football doesn't get the money from television that English football gets. There is no chance of competing." 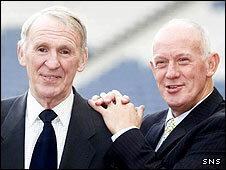 But Crerand offered some hope to the home support. "Celtic have to get into their faces, have a go at them," he said. "I came up here two years ago and everyone thought, 'United are going to win this game'. "They didn't, because of the support and the players' attitude. It's going to be a very difficult game for United. "What a lot of people up here don't realise is, if you look at Alex Ferguson, what is the most important game for them this week? They play Arsenal at 12.45pm on Saturday. How will Celtic fare against Manchester United? "That's a big game for United, against Arsenal at the Emirates Stadium. So what team is he going to play? The manager has got to take into consideration what is more important." United are tied with Villarreal at the top of Group E.
"United are going to qualify, but do they want to qualify as winners of the section, because they will probably get an easier draw in the next round?" Crerand added.